The new 14” Razer Blade strikes the perfect balance between power and portability. Experience streamlined performance with the latest 7th Gen Intel Core i7 Quad Core processor. Get faster, smoother and more detailed gameplay with the powerful performance of the NVIDIA GeForce GTX 1060 graphics. 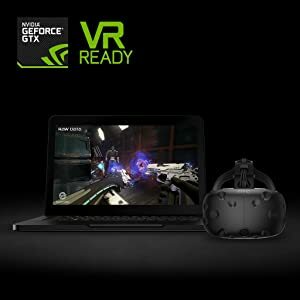 Choose from two great display options, Full HD or 4K UHD, or connect a VR headset for an even more immersive gaming experience. Get the best-in-class performance with 16GB of DDR4 dual-channel memory, PCIe-based SSD storage up to 1TB, and Killer Networking technology. 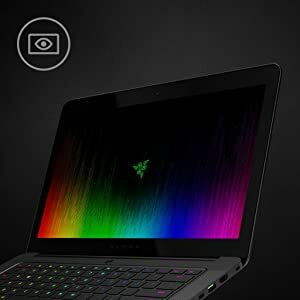 All this power packed into a thin and light 0.70” unibody aluminum chassis is what makes the Razer Blade the best in its class - Powerful. Portable. Perfect. 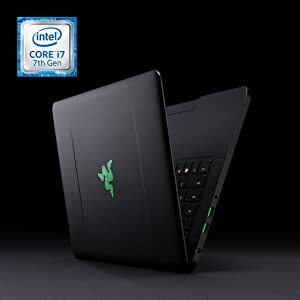 The new 7th Gen Intel Core i7-7700HQ processor, typically found in thicker notebooks, gives the 14-inch Razer Blade 2.8GHz of quad-core processing power and Turbo Boost speeds, which automatically increases the speed of active cores – up to 3.8GHz. Work, play and create with ease and enjoy smooth, high definition 4K content like never before. With the Razer Blade’s thin and light design, you’d never guess it holds all that power. Only with Intel Inside. The advanced GeForce GTX 1060 GPU is created with high-speed FinFET technology and supports DirectX 12 features. This means you can count on an amazing experience in every application—including performance in high-definition and immersive VR Ready games that’s up to 3X faster than with previous-generation GPUs. 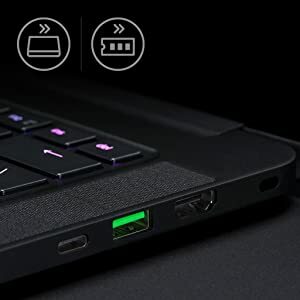 The new Razer Blade pushes the limit of what is possible with its incredibly thin form factor, made from precision cut CNC aluminum. 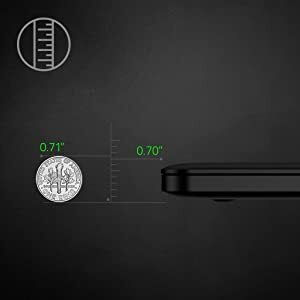 At a mere 0.70 inches, this sleek powerhouse is the embodiment of extreme performance on the go, giving you the freedom to game anywhere. Go full throttle with insane frame rates at the max graphics settings in Full HD, featuring wide viewing angles with fast response times for smooth video and blur-free gaming. With amazing 350-nit high brightness from the LED backlight, the display is optimized for gaming wherever you go. 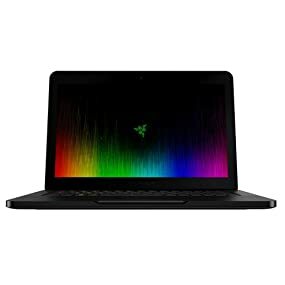 The ultra-portable Razer Blade comes loaded with up to 1TB PCIe solid-state storage and 16GB of fast dual-channel DDR4 2400MHz memory. To further increase performance the PCI Express SSD enables you to experience speeds up to 3x faster than a traditional mSATA SSD, so you can boot quicker and launch games faster than ever before. 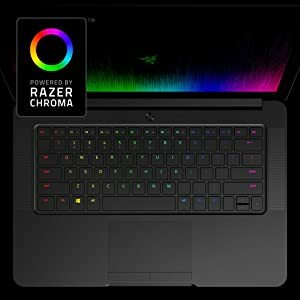 The new Razer Blade powered by Razer Chroma gives you access to 16.8 million color options per key. The anti-ghosting keyboard also registers simultaneous key presses with precision, so you can execute your commands quicker than before. With Razer Synapse, you can easily remap your keys and create macros, as well as personalize your own lighting effects and use inter-device sync with your other Chroma enabled devices, for a setup that is as unique as your playstyle.